Husband or wife, whoever is the earning member of the family, has to become a legal sponsor for the spouse. 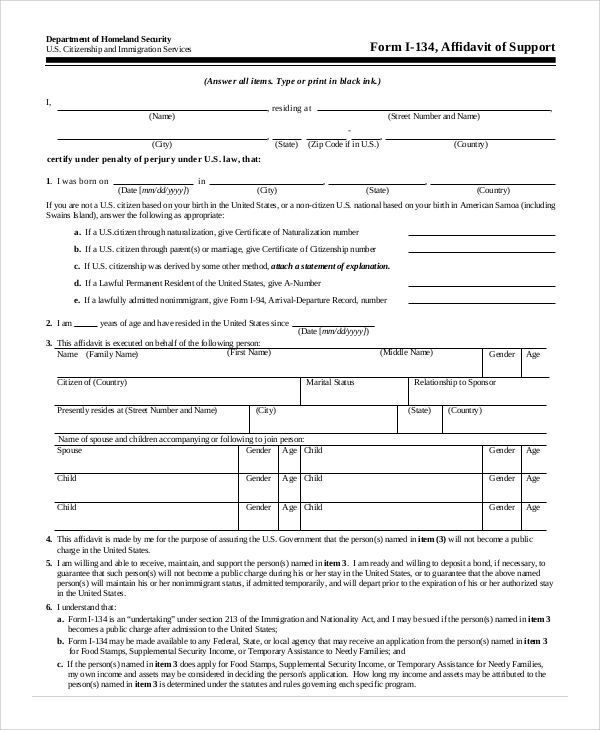 For legal proceedings and approval, one needs to fill up the form with precision. When husband and wife decide to separate, earning member has to become a legal sponsor for the child. 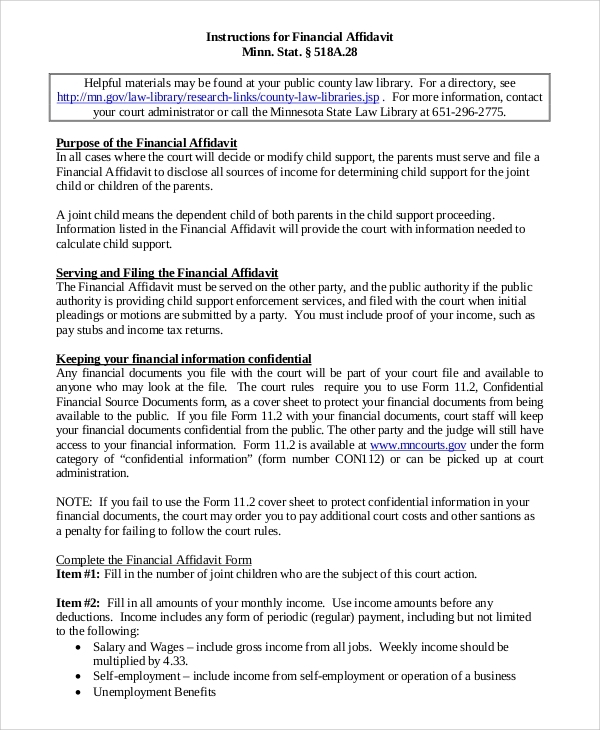 To create the child support financial affidavit, you can use this sample form of agreement. For immigration to a new place, one may require a sponsor who can provide financial support during and after immigration. 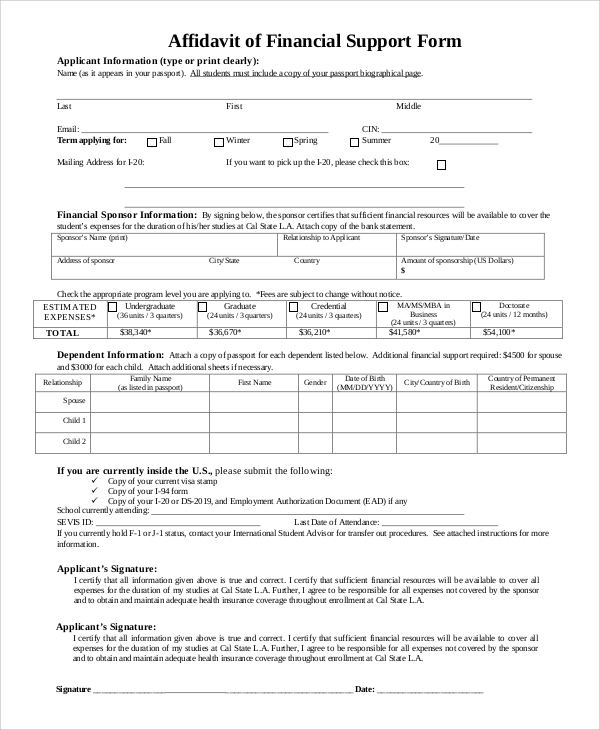 Lawyers can download this sample form to create simple immigration affidavit of support for their clients. When a person makes a financial commitment to someone, it is required to create an agreement between the sponsor and the beneficiary person. 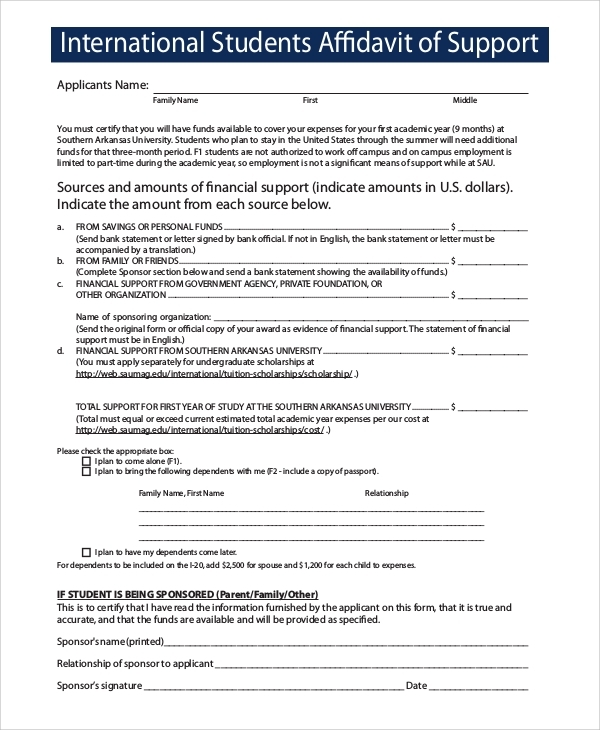 For creating such an agreement, this sample form can be used. 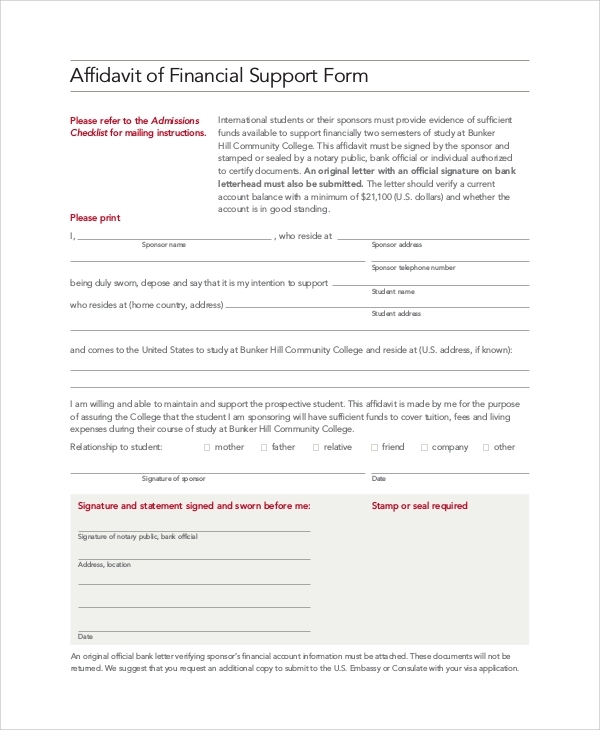 Affidavit of support sample letter is used for crafting a professional as well as a legal affidavit of support agreement or form. 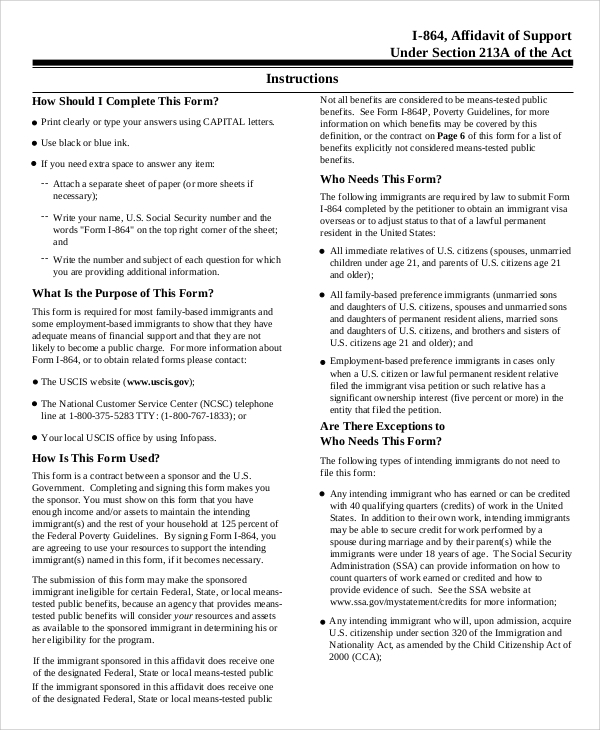 You can download this PDF file and customize it for your purposes. It protects the right of the beneficiary, who claim to obtain support from the other person who is typically termed, as a sponsor. Sponsor may deny his responsibility for support at some point in time. The beneficiary can show the agreement to get his or her legal rights in demanding support. This is why affidavit of support has to be crafted. Who Should Use the Affidavit of Support Samples? If the format and structures are not followed with precision, complications may arise later. Lawyers need to create such agreements for their clients. You can also create your agreement by downloading the online samples. Using samples helps in creating such documents without any errors. Also, it saves a lot of time that has been associated with the creation of such documents. 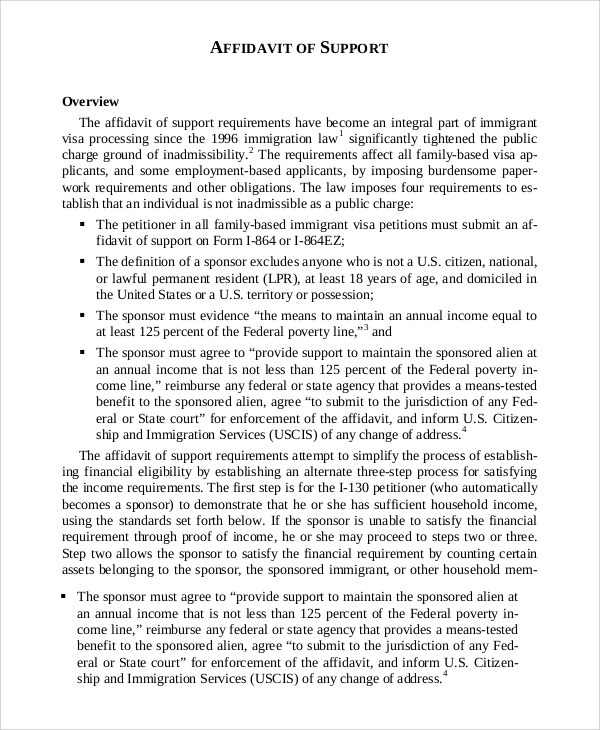 Affidavit of support has to be crafted with perfection since it is a legal document. 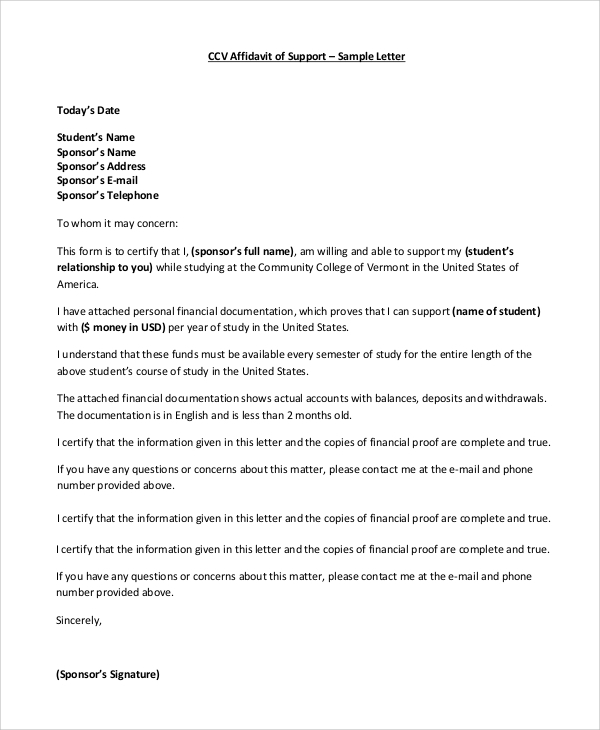 For creating such documents, it is important to take help from individuals. Several professional legal advisors or attorneys are there to help the clients. They can use the online samples to create such agreements for their clients within a few minutes.